As the mercury rises and school lets out for the summer holidays, parents are once again faced with the task of filling the hours of their children’s days with enjoyable, educational and enriching activities. But this doesn’t need to be as big a chore as it may seem. From summer schools at Tokyo’s top international schools to outdoor activities in Japan’s greener areas and even a family resort in Saipan, summer fun is just around the corner. To celebrate a whole decade of memorable summer festivities, Kspace International School has a season full of the very best in warm-weather fun. Classes are available for children aged 14 months right up to eight years old. Age appropriate programs cover a huge range, including space, superheroes and princesses, and the circus. Parents of older children will be delighted to know that hot on the menu are specialist workshops, designed to approach those ‘tricky’ subjects from a totally different angle; ESL, advanced math, and advanced phonics have never been so much fun, and private tutorial sessions can also be scheduled. With flexible attendance, a choice of hours, weekend programs, and an easy enrollment system, Kspace takes the ‘bother’ out of a ‘hot and bothered’ Tokyo summer. Looking for a fun-filled way for your child to make lasting friendships this summer? Camp Adventure™ Youth Services provides something for everyone. The Camp Adventure™ Youth Services program is structured for children ages three through twelve. Program activities include swimming, arts and crafts, songs, games, and individual age group activities such as weekly field trips for the older children. Camp Adventure™ is hosted by Mitsui Gardens International Preschool, located at the American embassy housing compound in Roppongi from June 21 to August 20. Sign up is already underway, so be sure to register your child soon. Venture into the heart of the Japan Alps in Hakuba this green season. Huge white-capped peaks, alpine flowers, clear flowing rivers, and green forests are the big draws for those wishing to discover the beautiful natural elements of Hakuba. After arrival, let the adventure begin with the friendly guides at the Evergreen Outdoor Center, who have been guiding in Hakuba for more than a decade. From the wild to the mild, Evergreen’s choice of activities are suitable for single travelers, couples and families. Experience the thrill of sliding off waterfalls in a canyoning tour, ride scenic cross-country trails on mountain bikes, or soak in the sun and views while you cruise in canoes or kayaks on picturesque Lake Aokiko. The Pacific Islands Club (PIC) is the ultimate family resort in Saipan. Just a three hour flight from Tokyo, PIC is famous for its spectacular water park and the friendly international team of Clubmates, the ambassadors of fun. Aside from the expansive water park, half-kilometer long lazy river, the Point Break wave surfing machine, and the 18-meter climbing wall, PIC’s newest attraction is the Laser Tag game. Teams of five can strategize to out-maneuver their opponents on the ‘battlefield’ and score points to win. The action is non-stop and all the fun, sports, entertainment and activities on site are free. In addition to PIC’s award-winning culinary delights at its four restaurants, the resort’s 300+ rooms have been recently upgraded with flat-screen TVs. Are you wondering how you are going to keep your child busy this summer but not sure whether you can commit to a daily or weekly summer camp? Then Gymboree Play & Music’s flexible Summer Bubble Pass may be just what you are looking for. The age-appropriate play, music and art programs for children three months to five years old help children practice social skills, develop problem-solving skills, and refine their language and motor skills in a stimulating and fun environment. This summer, customers will be able to choose from four-class, eight-class and twleve-class passes and attend classes and ‘play gyms’ on the days and times that best meet their needs. The Gymboree Summer Bubble Passes will be available from June 14 through September 5. 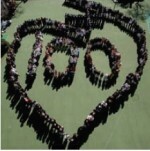 Saint Maur International School, founded in 1872, is the oldest international school in Japan. The co-educational school offers a quality education within a well-maintained modern facility to students of all nationalities and religious beliefs, from preschool through high school. The summer school at St. Maur accommodates students starting from age two and a half, and features a variety of age-appropriate programs, from Montessori activities for preschoolers to IGCSE and pre-IB courses for high schoolers. Less academic courses, such as arts and crafts, drama, time management skills and personal goal setting, and a basketball clinic, are also available. Experience a trip with Japan’s leader in white water rafting since 1995. During the hot and humid summer months, a raft trip with Adventure Rafting in Gifu prefecture is the perfect way to cool down while having a fun-filled experience. Rafters will drift through narrow pine tree-lined canyons on crystal clear water flowing from the Japan Alps. The Nagara River is the only remaining free-flowing river on the island of Honshu, free from dams. Adventure Rafting also has a free lodging facility, so guests can experience and participate in one of Japan’s three largest bonodori dance festivals, Gujo Odori, throughout July and August (bring your own blankets or sleeping bag).